Hello there! 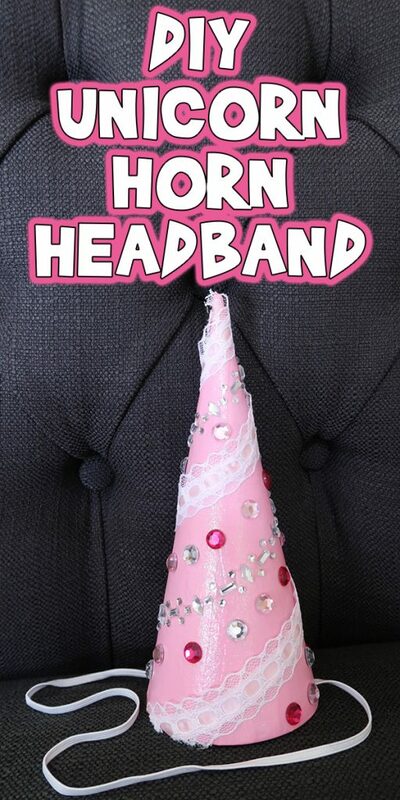 Today I’m going to show you how to make this DIY Unicorn Horn Headband. 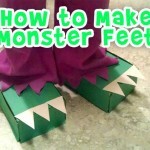 This is perfect for Halloween, or anytime you need a little extra magic. 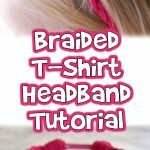 Now this is a great craft stash buster project, so you can easily use different types of ribbons or gems, or anything you have left over from other projects. Here’s what you’ll need! A variety of ribbon, gemstones, or other magical trinkets. 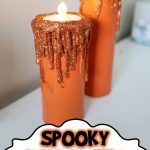 I used bling on a roll and self adhesive gems. 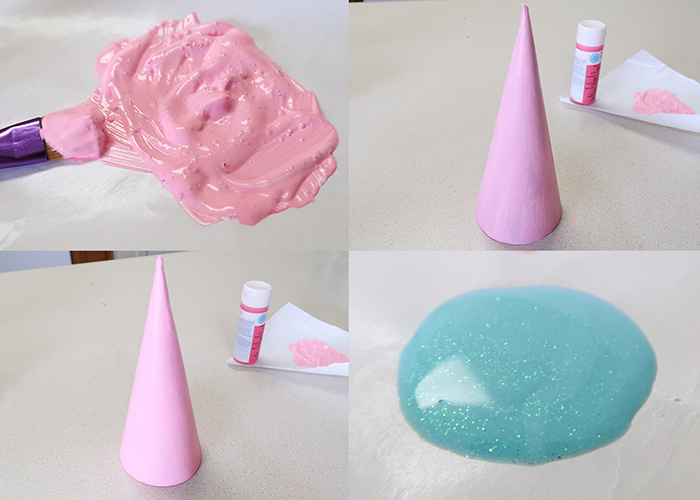 Start by painting your cone with two coats of your chosen color. 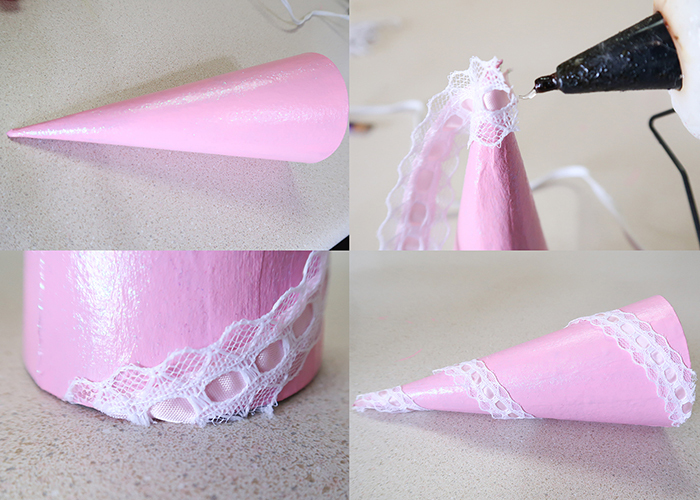 Use very thin coats when painting on paper mache, and let them dry completely. 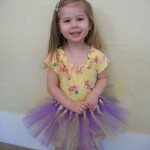 Next, take your glitter paint and paint 1-2 layers on top. Let all the paint layers dry for at least an hour. 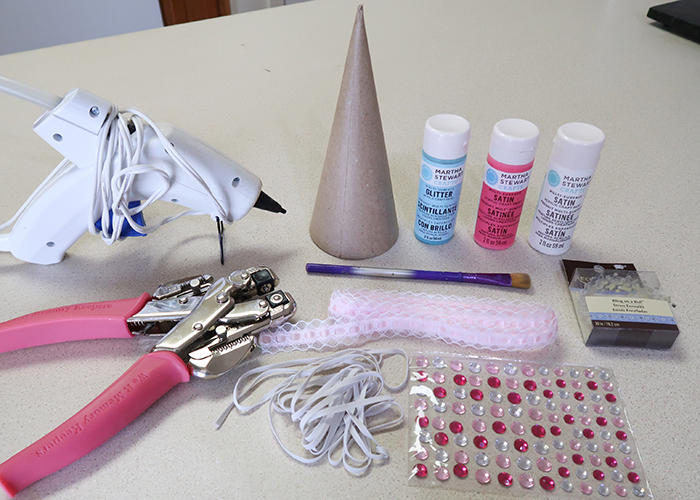 Grab your ribbon of choice and glue it to the very top of the cone, wrapping it around the cone and glueing all the way down. Trim it off neatly at the end. 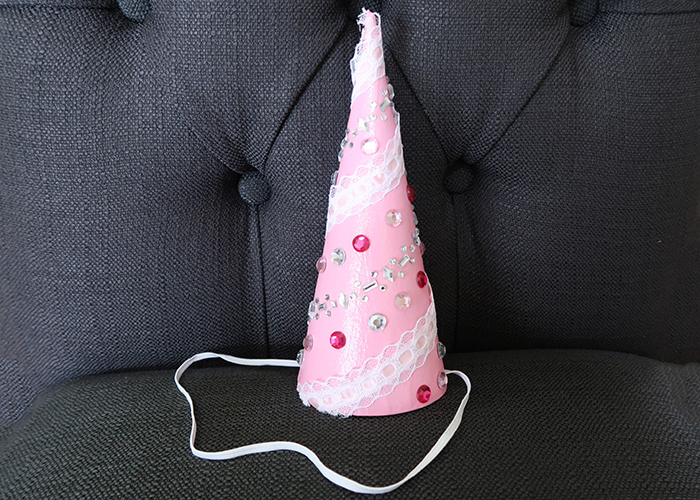 Now you get to decorate with whatever you have on hand! I had some self adhesive gemstone rolls, so I wrapped that around the cone in the same way as the ribbon. Then I took some large self adhesive gems and stuck them randomly all over the unicorn horn. 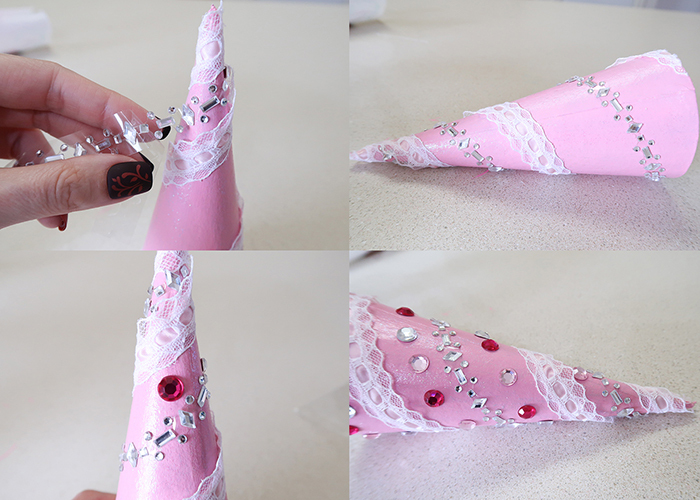 When it’s all decorated, take your small hole punch and punch two holes opposite each other near the base of the cone. 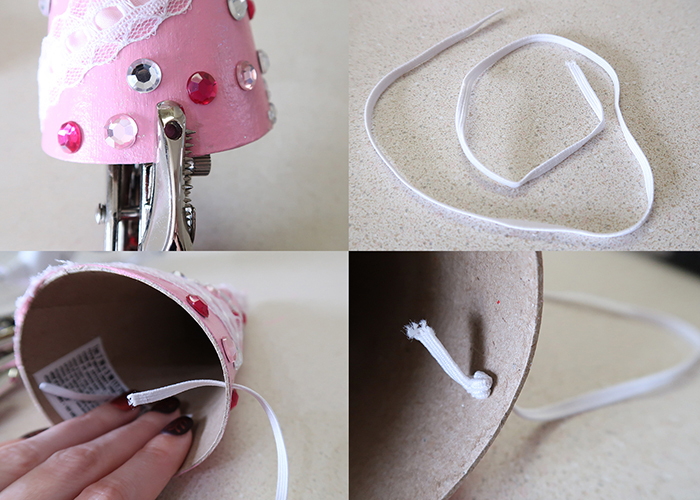 Cut a piece of elastic that will fit around the intended wearer’s head, and thread the ends into the holes in the cone. Tie knots to keep the elastic from slipping out, and you’re all done! It’s just so cute! 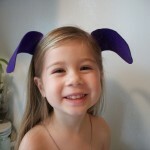 This DIY Unicorn Horn Headband is lightweight and stays put well on your forehead. If it slips at all, you can just tighten the elastic. 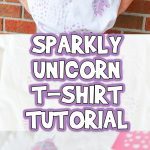 I hope you enjoyed learning how to make this today!